Hello everyone! Here's the cover of the first racing game I've ever played (I think). I'm not sure about you guys, but I really enjoy videos games whether its a FPS, RPG, or racing. I love games so much I ended up getting a BS in Game and Simulation Production/Programming at Rasmussen College (They changed the major's defintion midway). Anyways, I enjoy asking for others thoughts and opinions and fostering ideas and creative thinking as well. So here I go..
What do you prefer in your driving games; something stylized or a simulation? Let me clarify what both are first. For this topic, lets state that all driving games are a simulation of some degree. A simulation is something that attempts to replicate 'real life'; from mimicing the the physics in the real world, to using peripherals that mimic the interior of the car, or doing something seemingly mundane like driving a garbage truck as you would in real life. Some good examples would be Gran Turismo or NFS Pro-Street. Stylized on the other hand, can be defined as everything else on the spectrum. I should explain here that the term 'stylized' is my own, personal term and not a term used in the industry. But I think it fits the bill nicely. I would define stylized as a simulation that is simplified, to make it easier for the player to enjoy themselves. The focus of the game is more on the fun factor than on how close it resembles the real world. A example would be Burnout Paradise. 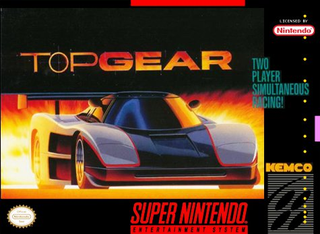 So to reiterate my question, which do you prefer when you're playing a driving game? A simulation where its based off of the real world, where one small error can make you lose a race, but you can pretend you are actually driving the car of your choice. Or a stylized game where things are simplified; all cars are probably automatic and rwd, but playing the game is probably going to guarentee a fun time. There is no wrong answer to this, its a matter of opinion and preference. You could choose both if you really want too. I just want DB's thoughts on this. And I hope I explained everything enough for it to be understandable, if not ask I can try to clarify.